TAIWAN: Siemens Gamesas has signed a memorandum of understanding (MoU) with a Taiwanese technology group Yeong Guan Energy to develop Taichung harbour on the country's west-central coast. 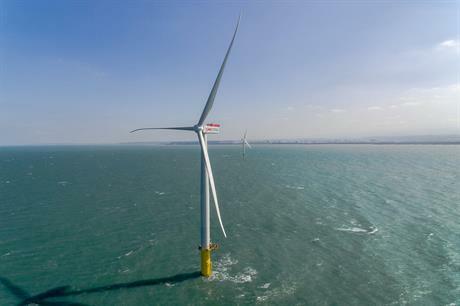 Yeong Guan will investigate the possibility of building foundry, machining and painting facilities there, while Siemens Gamesa will provide advice with regards to offshore wind quality and health and safety standards. A timeline has not been set for the project. Rainer Mueller-Wallenborn, Siemens Gamesa’s head of offshore procurement signed the MoU, and explained the decision to focus on Taichung: "The Taichung harbour is a choice location, close to Changhua county, off of which the majority of zones defined by the Taiwanese government for offshore wind projects are found. "As we stated in December 2017, there are over 10GW of projects under planning overall in Taiwan according to official information. We therefore believe the Taichung harbour has the potential to become a great regional hub for the industry." In December, Siemens Gamesa opened an office in the capital city of Taipei and signed an MoU with Taiwan International Ports Corporation to investigate potential manufacturing sites, and storage, pre-assembly and quay load-out areas. In the past few years, several manufacturers and developers have opened offices in Taiwan, large projects have been proposed and ambitious targets have been set for the country. Meanwhile, German developer wpd has begun financing of the 360MW Guanyin and 700MW Yunlin offshore projects by appointing Japanese bank Sumitomo Mitsui Banking Corporation as its financial adviser. Wpd had already started the procurement process for the two projects. It expects to achieve financial close later this year, the company stated. Elsewhere, the environmental impact assessments of Ørsted's four Great Changhua sites have also been approved by Taiwan's Environmental Protection Administration. The Danish developer now has exclusive development rights to the four sites, which are to be located 35-60km off the coast of Taiwan's west-central coast, and have a combined capacity of up-to 2.4GW. Subject to the final investment decision (FID) being made, construction could start next year, Ørsted stated.